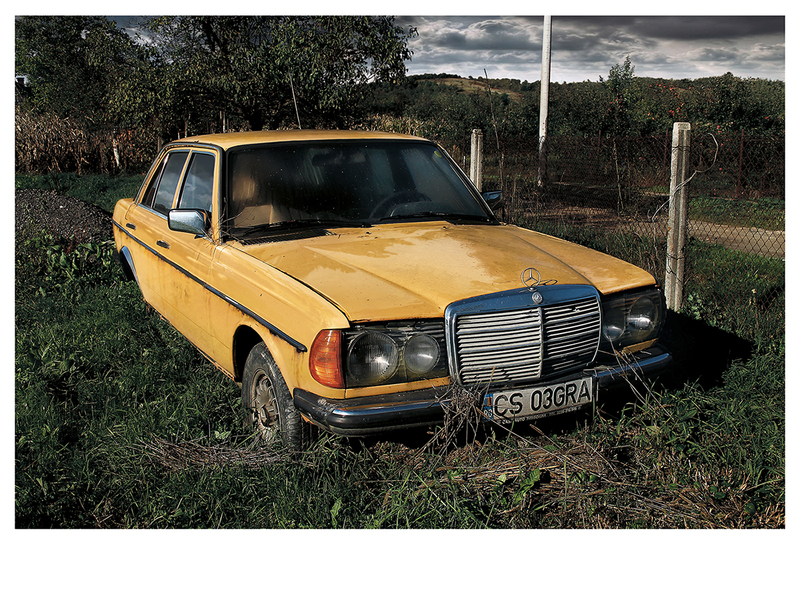 Mercedes-Benz, lambda print & gold painting, 59,4 x 76,7 cm., 2013. What was probably at some point somebody’s dream-car sits abandoned in my neighbor’s backyard. 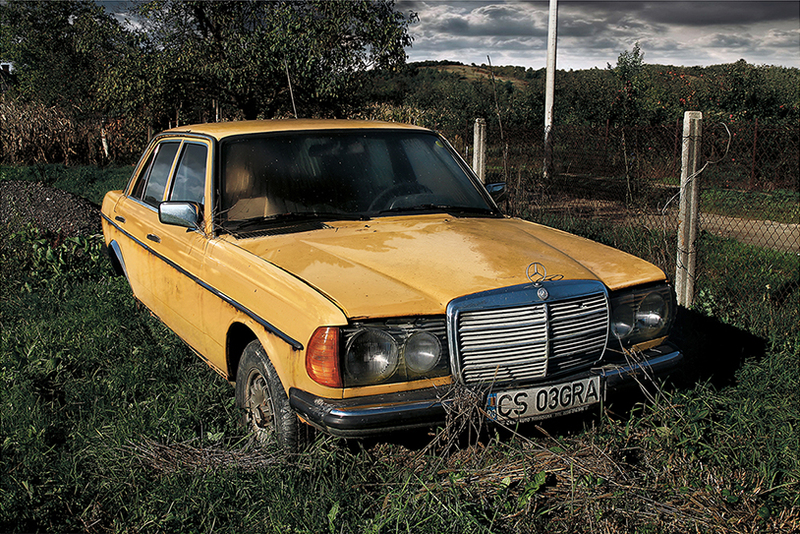 No longer used, no longer valuable, no longer wanted… left to rust and decay. It presents the all too familiar image of discarded objects of desire, a common destiny for most goods available in contemporary societies. The title alludes to Janis Joplin’s eponym song (1970), which was quickly adopted as an anthem for her generation’s reject of consumerism.